It’s no secret that Minnesotans are big on community. Even the most brutal winters are met with camaraderie and warmth as we gather, create and persevere our way to warmer days. So it comes as no surprise that in response to politicians urging the nation to close its borders to immigrants, Minnesota leaders joined voices in a full-page Star Tribune ad to send a clear message: Bigotry and anti-Muslim rhetoric are decidedly “Un-Minnesotan,” and we welcome all people to our state. Minnesota has consistently been among the first states in the nation to welcome refugees and immigrants. Members of Latino, Tibetan, Southeast Asian, Hmong and Filipino communities, and most recently a thriving Somali community, have made Minnesota their new home. This sentiment is pervasive, especially in Minnesota’s philanthropic and nonprofit communities. In a time with more new communities in the state than ever, the “everyday work” of individuals, foundations and corporate grantmakers is essential. The challenges of resettling people into a completely new culture, climate and place create a critical opportunity for grantmakers and funders to determine the future success of these new Minnesota communities. When grantmakers reach out to the communities they serve, building relationships and tapping the valuable resources within, amazing things happen. In early 2015, U.S. Attorney Andy Luger approached the Minneapolis Foundation and asked for a convening of foundations that would bring federal funding to Minnesota to combat terrorist group recruitment of youth from immigrant communities in the state. After an initial meeting, members of the communities affected by this proposal – Somali and Muslim communities and leaders working with them – expressed concern to Catherine Gray, director of impact strategy and civic engagement at the Minneapolis Foundation. They worried about possible civil rights violations, alienation of their youth and of the larger Minnesota community. The leaders raising these concerns already had a trusted relationship with Gray as a grantmaker and she believes this was essential to them coming forward in partnership with the Minneapolis Foundation to reach a collaborative solution.“People felt comfortable calling and sharing their insights, and knew they would at least be considered,” Gray says. These conversations started a process of listening and gathering information. After continued dialog with spiritual leaders, Somali community leaders and other partners across the Twin Cities, Gray learned that these groups shared Luger’s concerns about terrorist recruitment in their communities, were troubled by other issues being experienced by their youth and wanted to address the issues from inside their community. But they wanted to work with people and organizations they already trusted. Based on these insights, the Minneapolis Foundation chose to redirect their focus to the Somali community itself instead of using the financial resources from the Department of Justice. Gray identified Hamse Warfa as the right partner within the Somali community. Warfa came to the U.S. in 1994 as a refugee from Somalia. In addition to being a doctoral candidate in Public Administration at Hamline University, Warfa had been a program officer with Alliance Healthcare Foundation and Margaret A. Cargill Philanthropies. In 2015 he founded TAYO Consulting Group, a professional services firm focused on systemic level improvments to health, education, economic and social outcomes for the most vulnerable children and their families..
As the Minneapolis Foundation searched for resources to address the community’s concerns from within, Warfa was transitioning from philanthropy to nonprofit work, putting him in the right place at the right time to partner with the Minneapolis Foundation on this effort. In February, Warfa completed seven months of a culturally-specific community needs assessment focused on Minnesota’s Somali community. He has recently released a report based on the assessment. 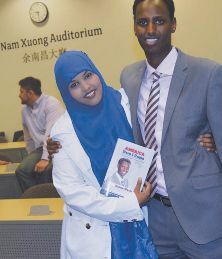 “The focus of the report,” Warfa said, “is to move away from the symptoms of problems and to focus on the root causes of issues.” He credited Catherine Gray with building relationships within the community and reaching out to him as someone who knows the foundation and nonprofit worlds as well as the Somali community. “The Somali community is segregated and isolated both by choice but also by circumstance. That creates misunderstandings, and it can create adversarial relationships with institutions,” says Warfa. The positive impact of grantmakers being attuned to grantees is consistent wherever grantmakers face similar challenges and opportunities. For New York’s Rochester Area Community Foundation (RACF), being tuned into the work grantmakers were already doing in the community provided an opportunity to create more efficiency and impact in their work. Mary Harstein, RACF program associate, detailed their strategic efforts. “In an effort to make fewer, larger, more impactful grants, multiple small environment field-of-interest funds were pooled to support one $20,000 grant – branded as the Green City Grant – to an organization working to improve the physical environment of the City of Rochester,” Harstein says. The analysis and research that went into determining what was already happening in their community allowed the RACF to streamline its grantmaking process and thus create a greater impact. The Green City grant was awarded to Foodlink, who in 2010 partnered with Rochester Refugee Resettlement Services and Mary’s Place Refugee Outreach, to create the Lexington Avenue Urban Farm (LAUF). 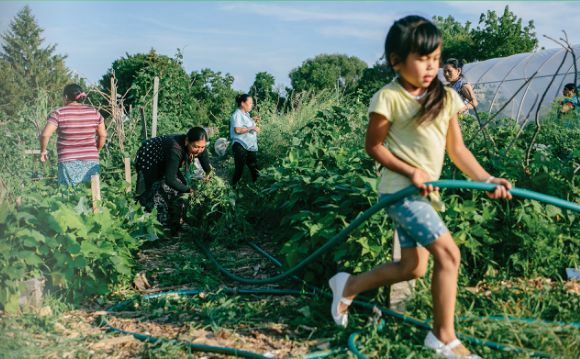 The LAUF provides space for Nepalese refugee families in Rochester to grow produce and create livelihoods. By meeting a community where it was at and expand funding for an existing program rather than seeking only proposals of new projects, the RACF’s grant enabled the LAUF to increase the number of families it served from 37 to 53, increase its total yield by 25 percent, pilot a fruit orchard and urban apiary, and expand the farm’s presence in the local community. For members of communities and nonprofits doing work supported by grants, a dialogue between grantmakers and recipients is essential. 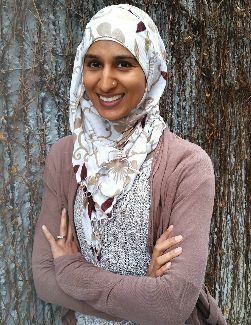 Nausheena Hussain served as deputy director and director of fund development for the Minnesota chapter of the Council on American-Islam Relations (CAIR-MN), worked on the grants committee of the Headwaters Foundation, and is now creating a new nonprofit, Reviving the Islamic Sisterhood of Empowerment (RISE). Her experience with all facets of the grantmaking process has shown her what practices create the most impact. Hussain applauds the Headwaters Foundation for their selection committee, which consists of board members and community members. “As someone in the nonprofit sector [on the selection committee], I have visibility,” said Hussain. During her time with CAIR-MN, Hussain and others on the small staff were already stretched for time and funding when the community’s need for their services saw a sharp increase. In response to terrorist attacks outside of the U.S. and the resulting backlash from U.S. politicians and others, many Minnesota Muslims (and others being confused with Muslims) began experiencing assaults, hate crimes and harassment. CAIR-MN continued the education portion of their mission, sending staff to speak across Minnesota where their visibility and trainings were badly needed. Hussain knew she needed to rely on relationships she had cultivated with funders and grantmakers for help. She called her trusted contacts at the Bush Foundation, the Elmer L. and Eleanor J. Andersen Foundation and the Headwaters Foundation, and CAIR-MN was able to raise over $80,000, in addition to a $25,000 match raised within the community. “This happened because of our relationships with these grantmakers. They knew our work at CAIR-MN and had seen what we could do with funding in the past. Without their help, we wouldn’t have been able to continue our work,” said Hussain. Hussain strongly believes that the best grantmakers work to empower communities to help themselves by listening carefully to the community’s needs and practicing responsive philanthropy. “An effective grantmaker will try to find the model that a particular constituency will want. Both the grantmakers and the constituents are stakeholders in the grant. When you give responsibility, you empower that community to make that change and better themselves,” said Hussain. When the Elmer L. and Eleanor J. Andersen Foundation invited Muslim organizations to offer ideas on how to address Islamophobia, CAIR-MN pitched their ideas through two rounds of selection before receiving $50,000. But the process didn’t end there. The Andersen Foundation kept open communication with CAIR-MN throughout their use of the funding, requesting regular reports. Additionally, since the foundation doesn’t give two-year grants, they encouraged CAIR-MN to apply to their legacy foundation. When Hussain saw the Minnesota Council of Nonprofits’ Responsive Philanthropy award, she immediately nominated the Elmer L. and Eleanor J. Andersen Foundation, which won the 2013 award for their effort to ensure CAIR-MN could succeed. “It’s important for us to show them we appreciate their effort and continue that relationship,” said Hussain. The Minneapolis Foundation’s Catherine Gray stresses that it’s important for grantmakers to consider who is applying for funding, and tailor their process to that audience. “We get in habits of institutional doing, and we get in ruts. We have to challenge our institutions to look at new ways of being and doing. Grantmakers need to look at our systems of distribution and proposals, and make sure they’re user-friendly,” Gray said. Of the grant application process, Gray said, “It’s especially hard on small organizations to jump through hoops to get grants. So what do we do about it? We ask where our grants are going. Are they all going to larger resource organizations? How many go to organizations with small budgets? We watch and analyze this.” She thinks it’s essential to check-in with organizations, provide extra invitations for them to apply for grants, and give extra coaching throughout the process. It’s clear that one key to ensuring a grant has a positive impact is a combination of responsive grantmakers and engaged constituents. In Minnesota, we have always built community by welcoming diversity and growing our family of Minnesotans one new community at a time. Building community by welcoming diversity and building bridges of cross-cultural understanding is our everyday work.